Use high definition video analysis and identify key areas to improve your stroke efficiency. 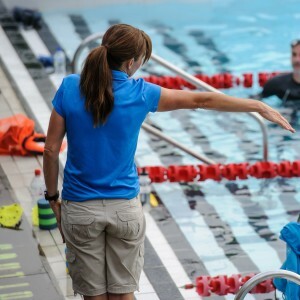 These half day (4 hour) swim workshops are perfect for triathletes and open water swimmers to fine tune technique and improve speed efficiency. During the northern hemisphere Summer, Swim Workshops are conducted in the French Alps. SwimSmooth Video Analysis Workshops are also offered during March and December in Dubai. 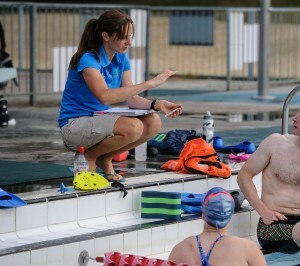 Fiona’s half day SwimSmooth Video Analysis and Stroke Correction Workshops are a summarised version of the SwimSmooth all-day clinic. Each workshop consists of 45-60 minutes in the water, having your stroke filmed from all angles in super-clear, high definition footage. A short stroke correction session focuses on key technical elements to improve your swim efficiency such as breathing, modifications to your body position, improving rotation or simple catch drills to improve your ‘feel for the water’. With numbers limited to 4-6 swimmers you will receive individual feedback and understand how to apply identified key aspects to improve. A classroom based session follows the pool time, where each individual swimmer’s footage is analysed in HD, slow motion and from all angles. 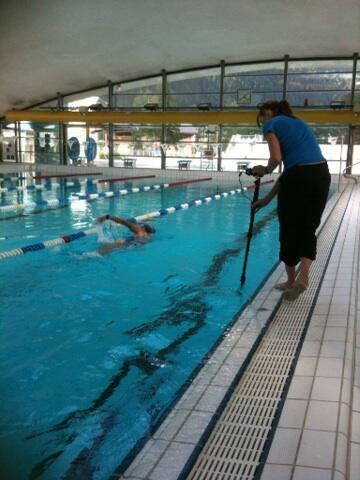 The unique SwimSmooth above body and underwater filming angles facilitate identifying ’cause and effect’ scenarios in the swimmer’s stroke for correction. Fiona summarises each analysis with up to 3 key elements for improving your swim efficiency and speed based on your goals, whether they be triathlon or open water swimming. You will receive a follow up swim improvement pack containing sessions to work through for 8-12 weeks, your recorded video analysis and footage to take away after the workshop. There is no need to make lists or notes as the analysis is recorded for you, including the comparative analysis to elite swimmers and triathletes for powerful visualisation and clarification of optimal and efficient technique! The many testimonials from swimmers over the years who have attended these workshops and benefitted from the individual approach to swim improvement attest to the effectiveness of visualisation to understand how to correct their stroke and movement patterns. In addition, the specific advice as to what is relevant to your individual stroke compared with efficient swimming of elite triathletes, pool and open water swimmers of which there are many examples. We will operate a wait list on all UK workshop dates, in the event of last minute cancellations. To benefit from any of our workshops, swimmers must be able to complete at least 400m continuous freestyle. i.e: be able to swim!